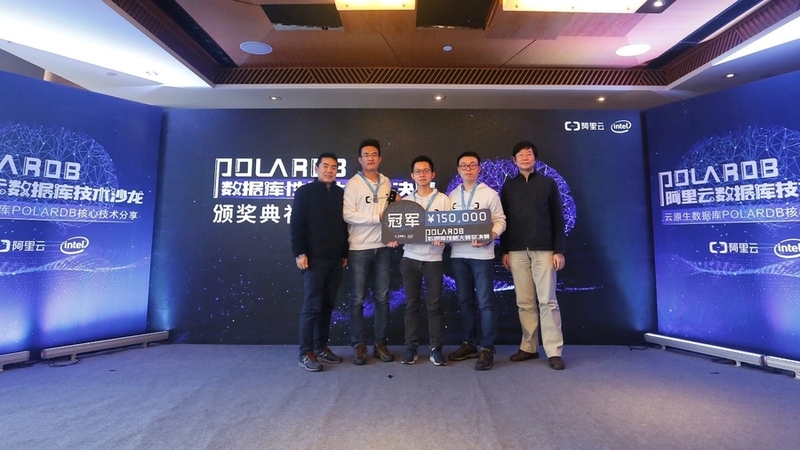 Our PhD students Yulin CHE, Shixuan SUN and Lipeng WANG participated in the first POLARDB Database Performance Challenge held by Alibaba Cloud Services in December 2018 and was awarded Champion. The competition started on October 25, 2018 and lasted for 2 months. POLARDB is a cloud native database system independently developed by Alibaba Cloud. In the first round of competition, participants were asked to develop a simple and highly efficient key-value storage engine that supports the get/put interface on the Intel Optane Solid State Drive. In the final round, participants further implemented a range-lookup interface. A total of 1808 teams from 11 countries and regions joined the challenge, including Yulin, Shixuan and Lipeng's Team Rapids. All three students are supervised by Dr. Qiong Luo, Associate Professor of CSE. Congratulations to Yulin, Shixuan and Lipeng!